Need Corona Del Mar bee removal? The Bee Man provides professional bee removal services to businesses and homeowners in Corona Del Mar on a 24/7 basis. There are many myths about bees and bee removal these days. So, most of these misunderstandings are easily clarified. First of all, the feral honeybees in Orange County are not endangered. There are approximately 4000 different bee species in the world. Almost all those species are unheard of and very rare. Currently, the only bees that are actually endangered are called the Japanese Yellow Hornfaced bees. They live in Hawaii. Furthermore, the bee infestations we have in Orange County are mostly caused by European honeybees, Africanized honeybees (aka: “killer bees”), and a hybrid of the two species. 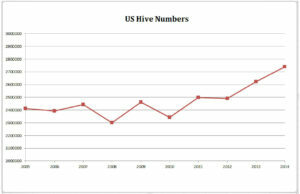 According to National Agricultural Statistics Service, US hive numbers are actually increasing. For example, there are approximately 40 different species of felines in the world1. Of those 40, there are approximately 12 species2 that are “endangered.” Therefore, saying that European honeybees are endangered is like saying house cats are endangered too. It’s simply not correct. The species of an animal/insect is very important. Hence, because a single species out of four thousand is close to endangerment, it doesn’t mean all species are. Another bee myth is that bees randomly attack people both indoors and out. Most noteworthy, bees only attack when they feel threatened. Even more, bee swarms do not attack since there is no hive to protect. Bees are pretty docile in nature. They refrain from stinging humans because die in the process. Bees who find themselves trapped indoors are only focused on one thing, getting out. They will fly to the nearest window and buzz along the window pane looking for an exit. Unfortunately, bees trapped indoors usually exhaust themselves and die within a couple hours. In conclusion, bees are an important part of our ecosystem. So their existence is very important to all of us. Unfortunately, there are many myths about bees that are simply not true. As a result, many people think bees are endangered but that just isn’t the case. Regardless, The Bee Man offers professional bee removal services to residential and commercial customers on a 24/7 basis. Above all, your safety is important to us so please refer to our safety tips here. Finally, for your safety, if you need any Corona Del Mar bee removal, please contact The Bee Man at (949) 455-0123.